Voluspa Candles on Sale: Buy 2 Get 1 Free! 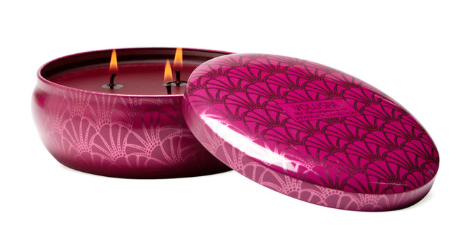 Have you ever had a Voluspa candle? They smell SO GOOD and burn so well. And honestly, for me, even more importantly they look SO pretty! They are the perfect piece of decor for your nightstand or bookshelf. They can get pretty pricey so I was SO excited when I found this deal! This is a perfect time to stock up for gifts. I usually will buy like 5 like candles on a good sale and then keep them in my “gift closet” and then have them ready when someone’s birthday comes up! First, you can buy two candles and get one free! This discount code applies automatically at checkout. These candles are an incredible deal already, and then adding a free candle after buying two makes this sale better than I have EVER seen! 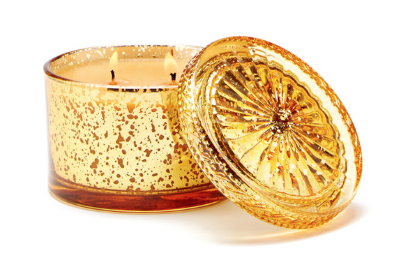 This Vermeil Chestnut and Vetiver Candle (12 OZ) is only $12 instead of the normal $24! See what I mean about them being so pretty? This is glass and looks so nice when sitting around your house. Sometimes I buy them just for home decor and I don’t even burn them! 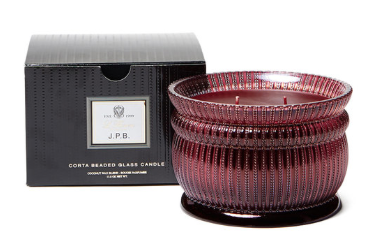 Click here to see all of the candles in the sale!